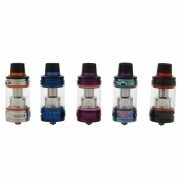 UWELL Nunchaku 80w Kit consists of Nunchaku Mod and Nunchaku Tank. The Nunchaku Mod is powered by single 18650 battery, and supports 80W maximum output, which provides you a powerful vaping experience. It features Ergonomic design, you can comfortable to hold it. The Nunchaku Tank comes with 5ml capacity. 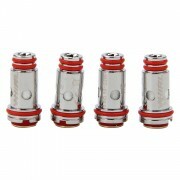 It feature Plug-pull coils, you can easy to replace it. With the UWELL Nunchaku 80W Kit, you will have a great vaping experience. ➤ 1. With a new generation of E-cigarette control panel, it makes the tube as safe as a box mod. ➤ 2. 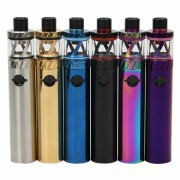 Powered by single 18650 battery and 80W maximum output. ➤ 3. It features Ergonomic design, you can comfortable to hold it. ➤ 4. With a pocket size, it is convenient to carry. ➤ 5. The 18650battery can be replaced.